It is in the unmistakeable Dutch name of Daan Roosegaarde, that we find one of the most talented Dutch designers of the past decade. With his thin and seemingly vulnerable body, sunken eyes and his wrests that are as thin as a piece of bamboo, Roosegaarde resembles a lot to a character straight out one of German expressionist Egon Schiele’s famous works. But this description might give us a wrong impression of the man that Daan Roosegaarde in fact is. It has namely been his sense for aesthetics in combination with his endless interest for innovative science that have led to the most breath-taking designs from Dutch grounds for a long time. 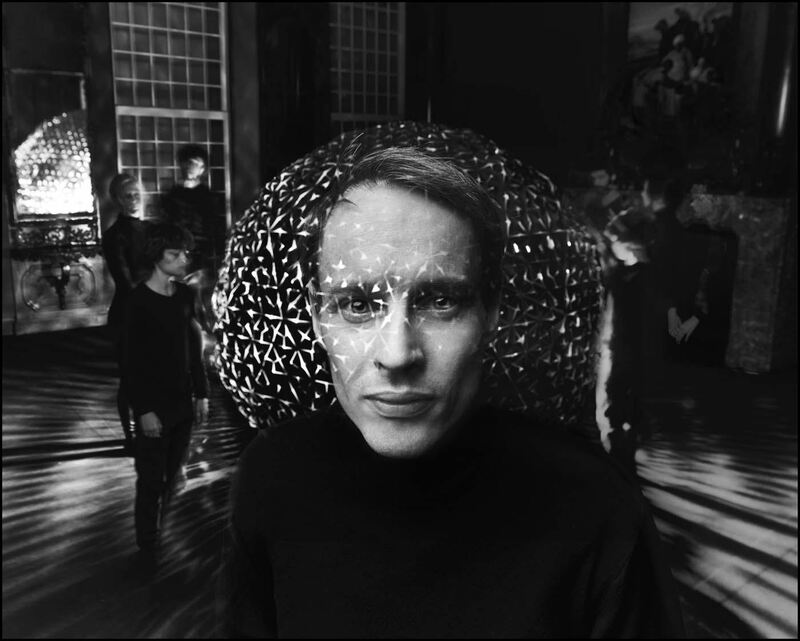 By letting his creativity flow through the rusty mechanics of his aging brain, Roosegaarde has created a bridge between the alfa and the beta, the imagination and the real and ultimately, the now and the future. 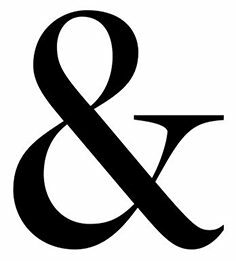 Therefore, it is time for a small introduction to a man that is all to known for his works, but all too little by his name. Daan Roosegaarde in three works. As an homage to one of the Netherlands’ most famous painters, Vincent van Gogh, the city of Eindhoven opened a cycle path on the 12th of November last year. Developed in partnership with Daan Roosegaarde and Heijmans the path is part of a much larger cycle path through the whole of Brabant, the region where van Gogh painted several of his most famous works. A nearby solar panel is used to generate power to illuminate the coated surface and in case of running short of sunlight, LEDs alongside the path can still illuminate the path sufficiently. 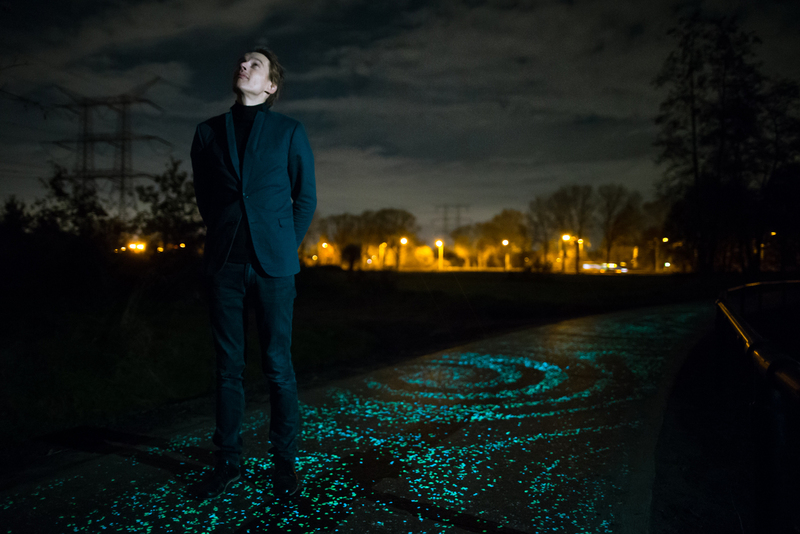 The van Gogh Path is the perfect embodiment of Roosegaarde’s soul, it pays homage to art but always goes a step further by creating something that could be perceived as being the future. 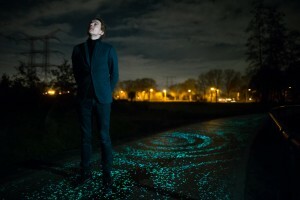 Daan Roosegaarde has been greatly inspired by nature in his works. One of the best examples of this fascination are Roosegaarde’s glow in the dark trees. The way in which animals such as jellyfish produce their own light got Roosegaarde thinking:‘’what if we apply this to plants?’’. The end result has been this stunning glow in dark trees that lights up when the night falls. 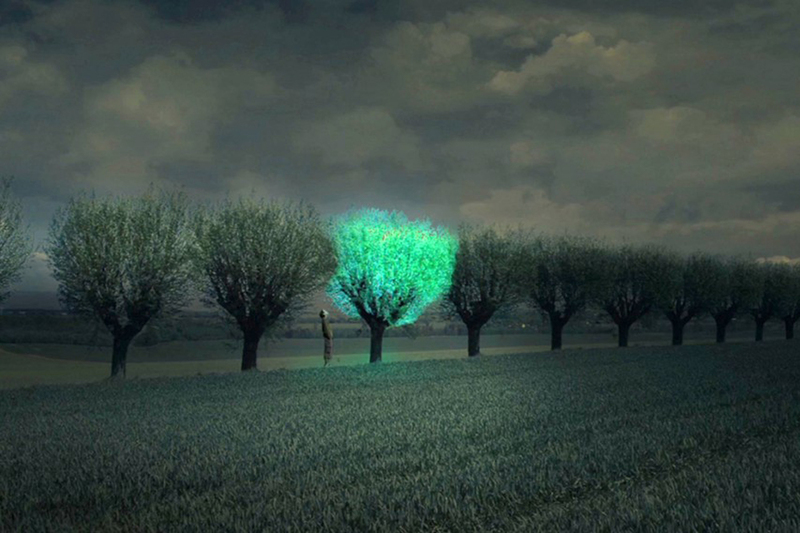 By making use of the Luciferase enzyme, one is enabling trees and other plants to light up themselves. 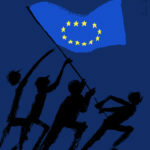 The consequence? Conventional street lights are turning into an element of the past. Furthermore these beauties even save energy! 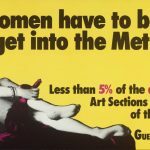 Whereas the two previously discussed works could still be regarded as being not so far away of being materialized on large scale; the ultimate work, Intimacy, seems to come straight out of a Star Trek movie. The ‘Intimacy’ dresses are made out of opaque smart e-foils that become increasingly transparent based on close and personal encounters with people. It is ultimately Roosegaarde himself that describe it best: ‘’Social interactions determine the garments’ level of transparency, creating a sensual play of disclosure.’’ Now that sounds as next-level relationships. In short, Daan Roosegaarde is one of the people on this planet that are constantly pushing the boundaries of our existence, waking up each day with the will to innovate and to discover. 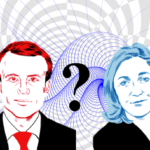 You can read a lot more on these fascinating innovators and the possibilities that development brings to our world in the upcoming double edition of Checks&Balances!